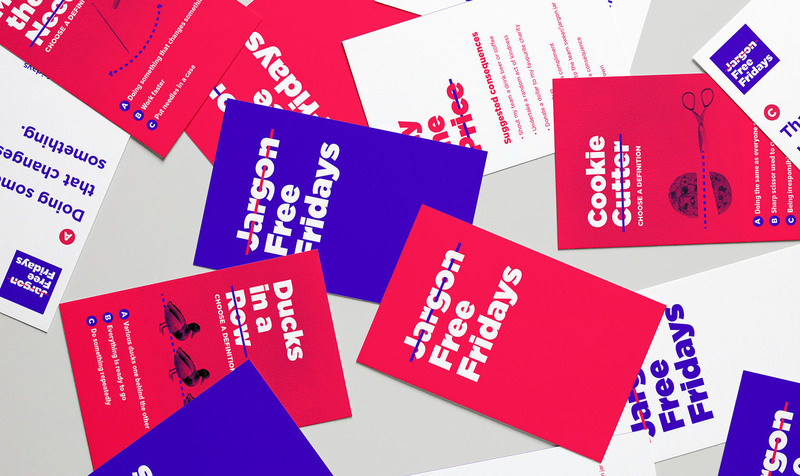 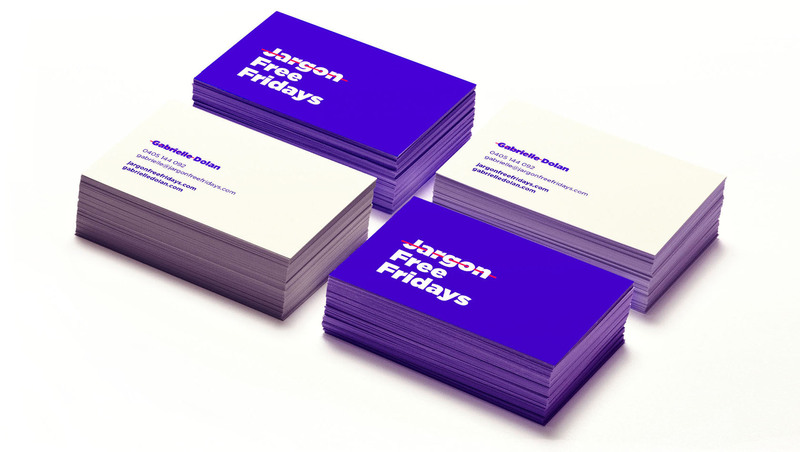 Jargon Free Fridays is a campaign lead by Gabrielle Dolan. 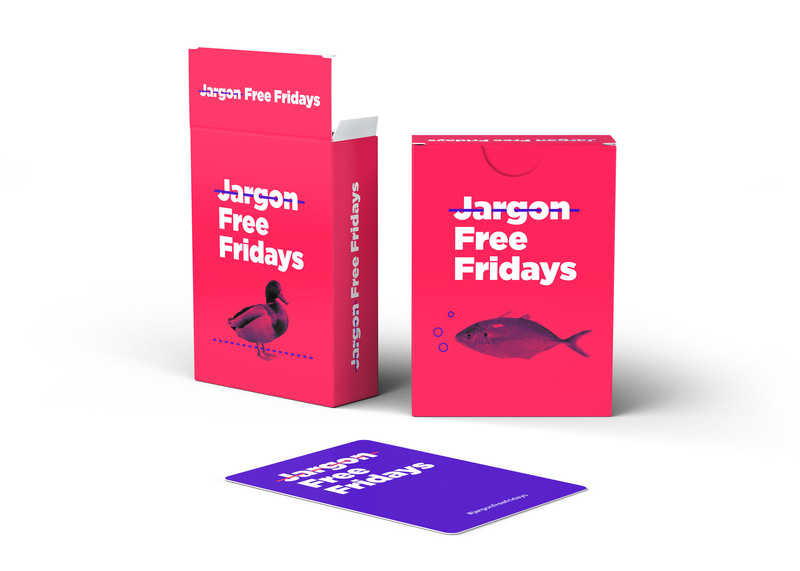 She is on a mission to change the way we communicate in business, moving away from the default of corporate jargon that disconnects and isolates people. 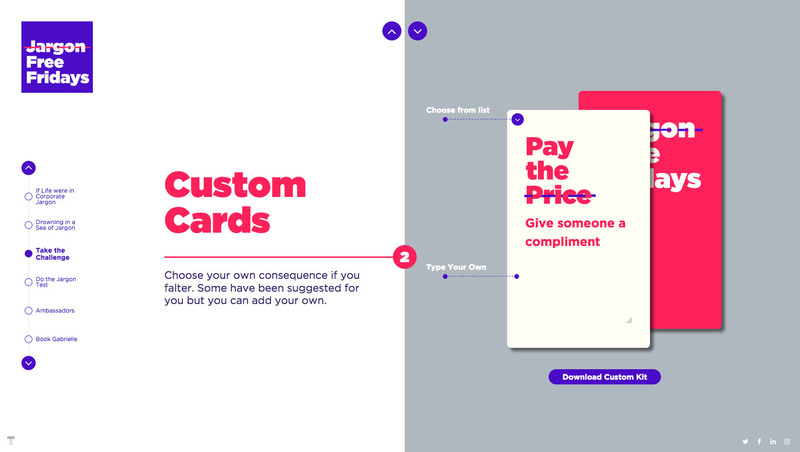 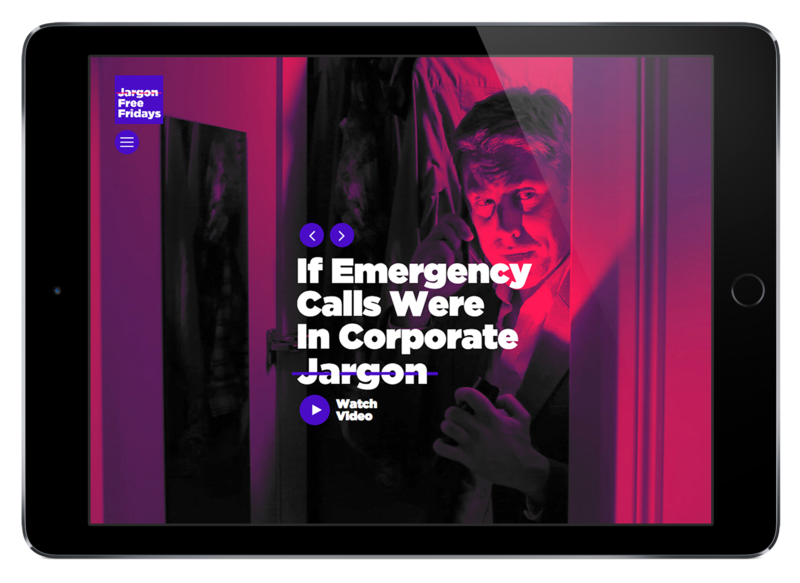 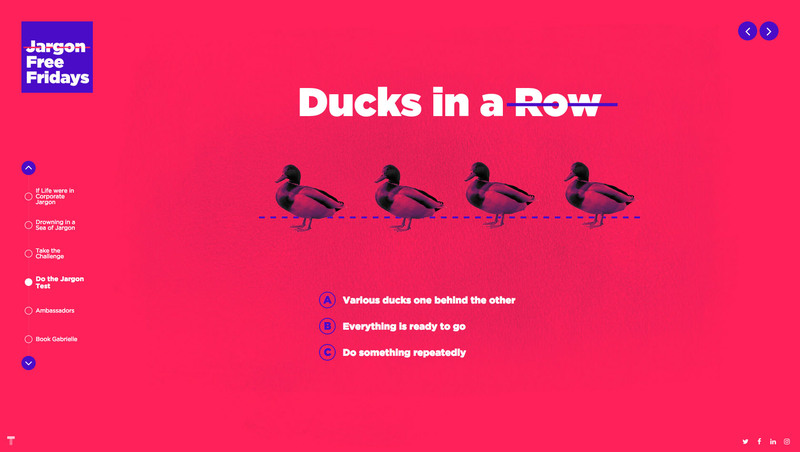 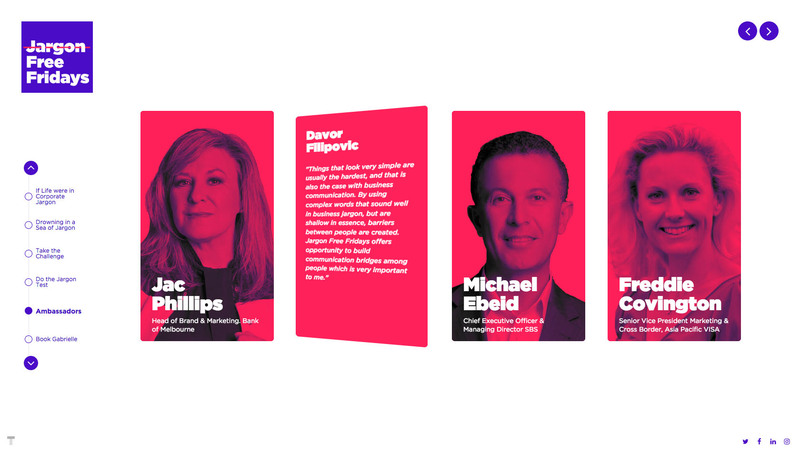 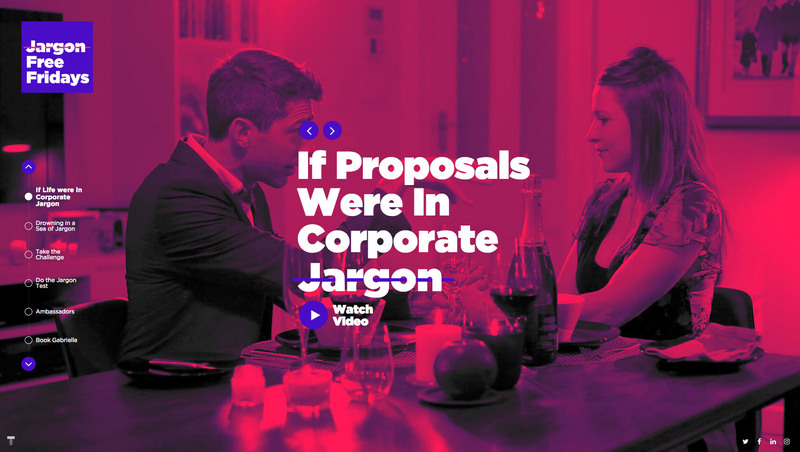 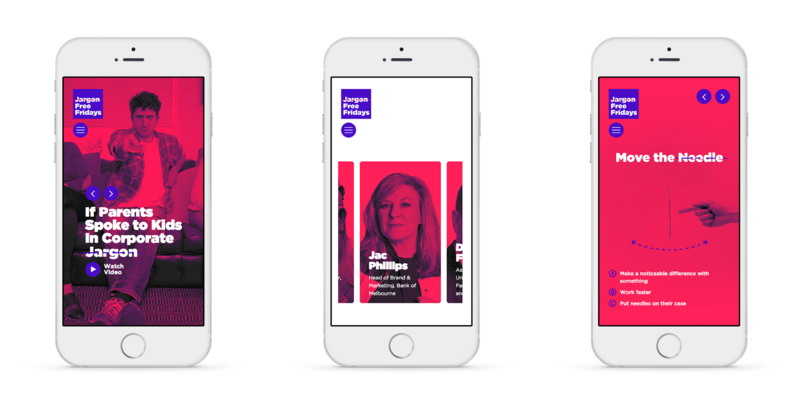 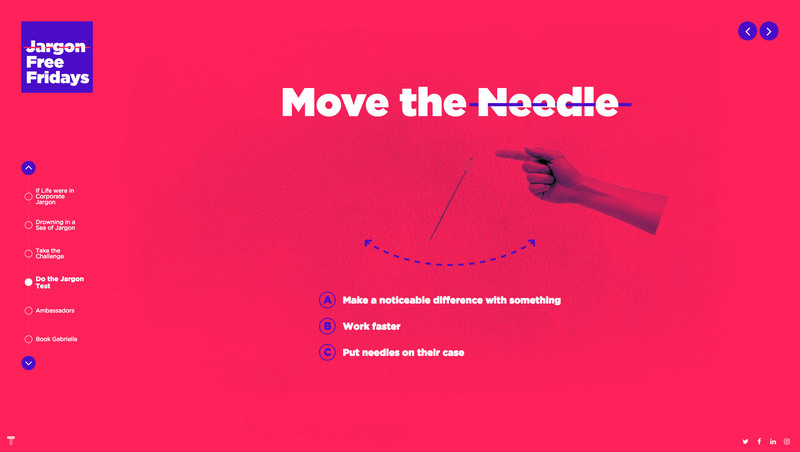 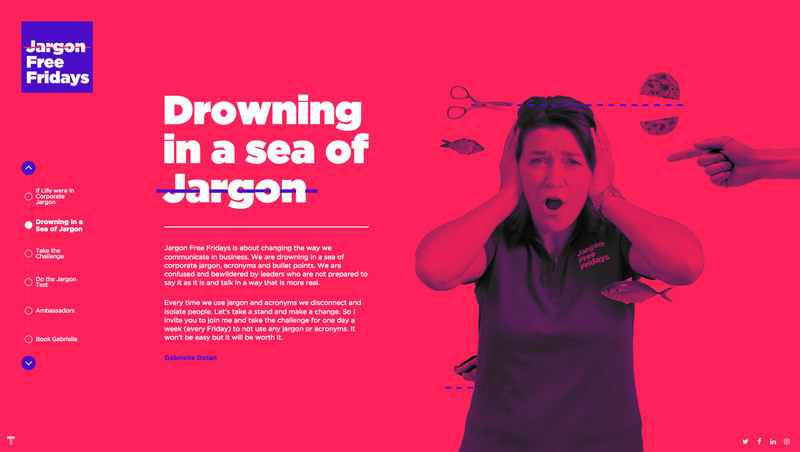 New website and brand identity concept that portraits the difficulties of understanding corporate jargon. 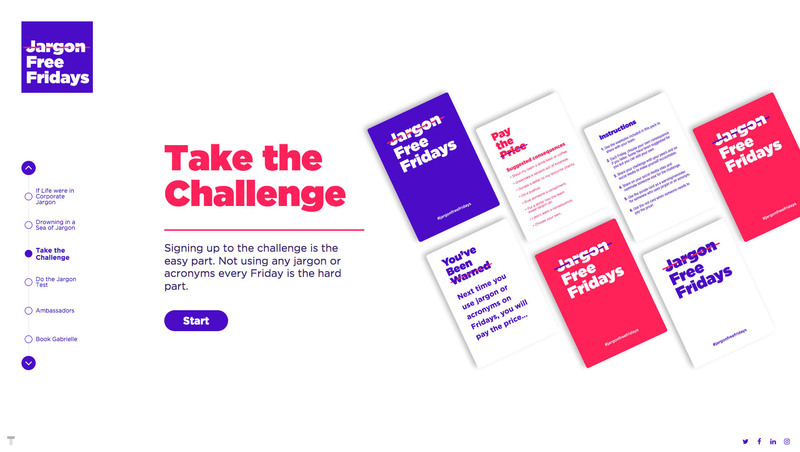 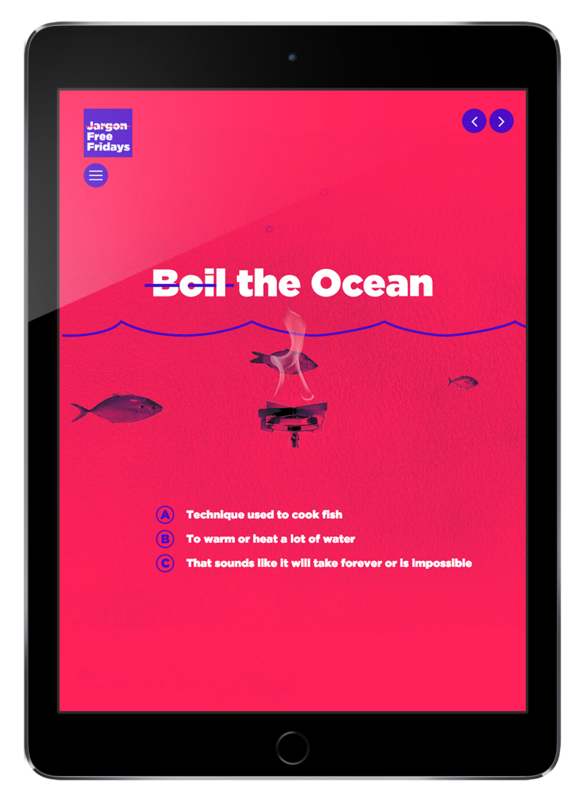 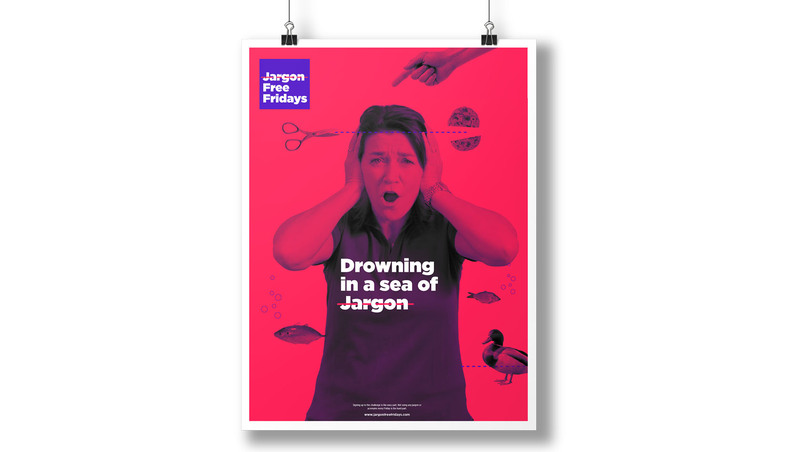 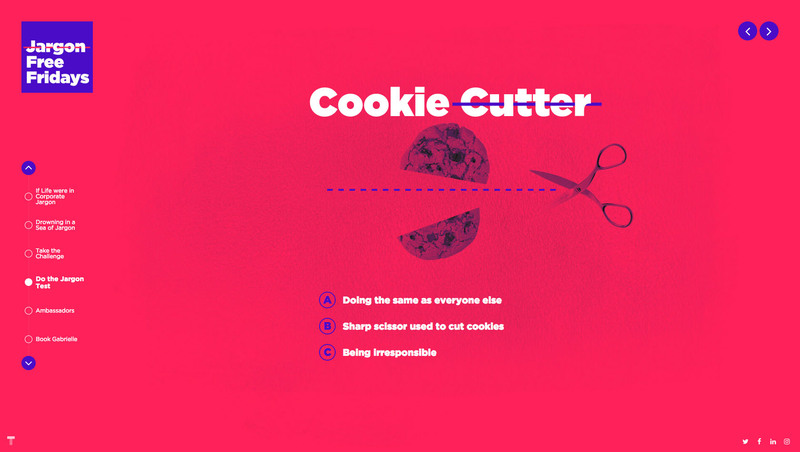 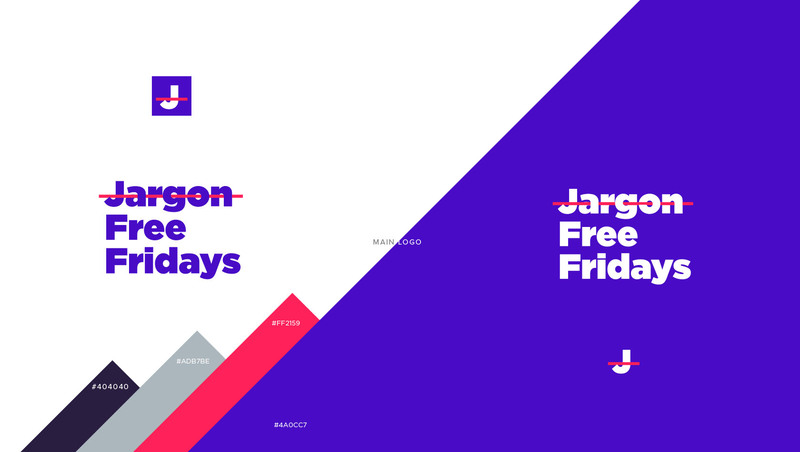 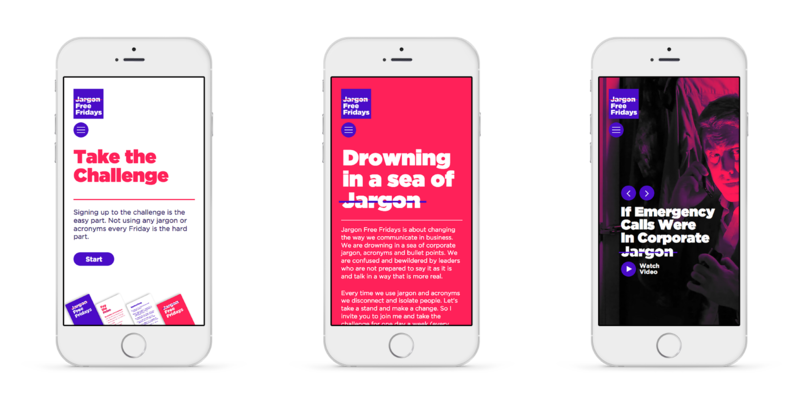 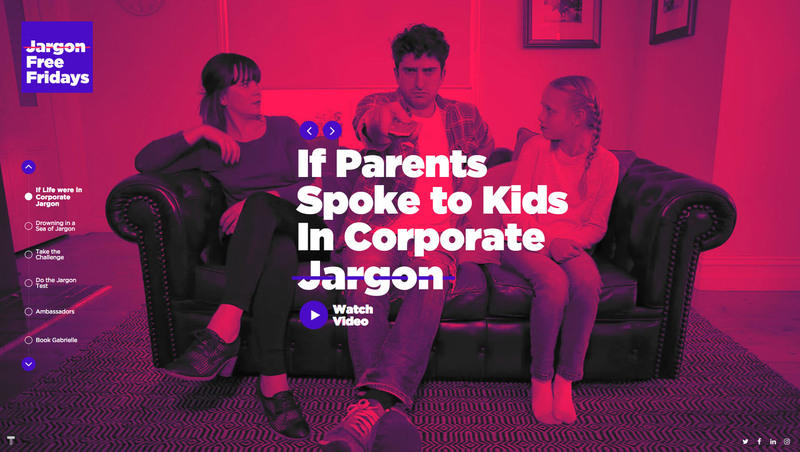 This should encourage users to get involved by taking the Jargon Free Fridays challenge.